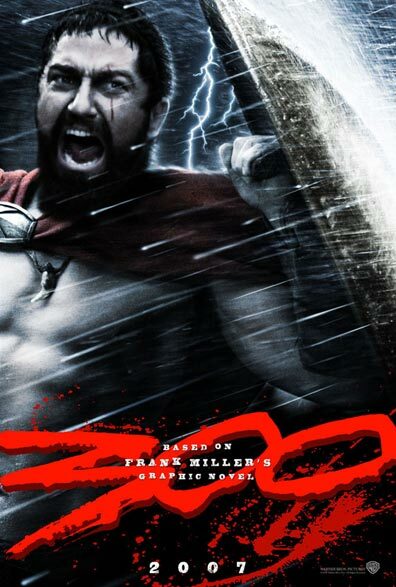 So we all know, thanks to the well-deserved hype, that director Zack Snyder’s new film 300 is hitting theaters this weekend. And theaters this weekend better watch out, this is going to be a good one & a little bit raw. The Warner Bros. film stars Gerard Butler as Spartan King Leonidas along with Lena Headey, Michael Fassbender, Vincent Regan & Dominic West. The ancient Battle of Thermopylae is detailed from its sour beginnings to its lessons-learned ending in only a way that graphic novelist Frank Miller (who is also a producer) can deliver. Rated R.
But also in theaters this weekend is The Ultimate Gift starring Little Miss Sunshine newcomer Abigail Breslin along with a full cast including Drew Fuller, James Garner, Ali Hillis & Lee Meriwether. This Michael O. Sajbel-directed movie surrounds a family & a trust fund when a wealthy grandfather dies. But trust fund child Jason Stevens (Fuller) cannot get at his cash until he receives twelve “gifts” that will help him along the road to life which basically sends him on a path of self-discovery. Rated PG. has any body seen twilight i went to the movie theaters every day for the past month and wachted the movie any body who has not seen this movie you should it is really romantic.